Cash for Cars Northwest has been offering junk car removal services in the area since 2004. We offer friendly, hassle-free service people have come to rely on. When you want the best cash for cars in Oregon City, we are the place to call. Our on-staff appraiser is experienced in new and old cars. Whether you have a clunker you need taken off your hands or a decent, working vehicle, we will give you a great deal—today! Why go with a cash for cars service? Well, we’re glad you asked. When you call us for a quote in Oregon City, the heavy-work is over for you. We give you an offer we will stand by, and we do all the work from there! We take the vehicle off your hands, for free! 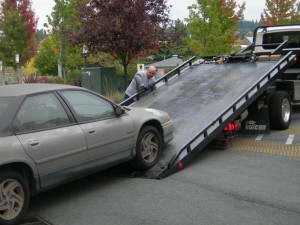 Whether your vehicle works or not, we will come pick it up. No dealing with used car listings and multiple potential buyers! Listing a car on Craigslist or other advertising sites is a pain. You have to make yourself available for when people want to check out the car. You have to let strangers test drive it or wait for them to have their mechanic check it out. All that, and they still might not buy.Then there’s the dreaded the haggling! This could take days, weeks, even months for the whole process. Same-Day Cash! We will always stick to the quote we offered you on the phone. No bait-and-switch with us! You get actual cash in your hand. No DMV! Our friendly professionals handle all the paperwork for you. There is no hassle of waiting in line at the DMV or dealing with the title transfer. No Pressure! 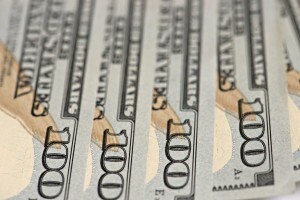 When you call us, we offer you the best possible cash for cars in Oregon City. You will never be pressured to use our services. Want to compare or think it over? No problem. We want you to feel confident and certain Cash for Cars Northwest is the way to go with your vehicle. Cash for Junk Cars! No matter the condition, make, or model, we will take your vehicle off you hands. Doesn’t run? That’s okay. Licensed and Bonded! We do all we can to ensure safe, reliable, responsible cash for cars service. That means installing safeguards for your protection. Excellent Customer Satisfaction! From the moment you call us to the professional who comes to you, you will be treated with the respect and care that you deserve. We see you as our friends and neighbors in Oregon City, and that is how you will be treated. Give us a call today and ask us about cash for cars in Oregon City!